The biggest driver of good performance versus bad performance is the aerodynamic (flying) shape of a sail that is built into the material with shaped seams or molded into the composite structure. Mainsail twist is an interesting part of the engineering challenge that requires the designer to drill down into the interaction between the material properties and sail design. For most mainsails, when you ease the sheet the middle of the leech sags to leeward and the upper battens stay tight. If the material is too stretchy, or poorly oriented, the sail will get deeper in the middle and the draft will move aft in the top half of the sail as wind pressure increases. Those pressure-induced changes in the shape and depth will force the sailor to ease the mainsheet. Easing the sheet closes off the slot between the main and jib, which will dictate that the jib sheet is also eased. This sequence of events explains why so many cruising boats ‘can’t point’ and why some sailors spend a lot of time with their sails fluttering and flapping, or they end up switching on the engine even in fresh breeze. A well-designed sail aims for a progressive twist in the leech from the top to the bottom when the sheets are eased or when the sail sees an increase in pressure. We want the highest batten to be angled more to leeward than the one below it, and the next batten down more to leeward than the one below it, and so on, much like the wing of a bird deflects and twists on the down stroke. 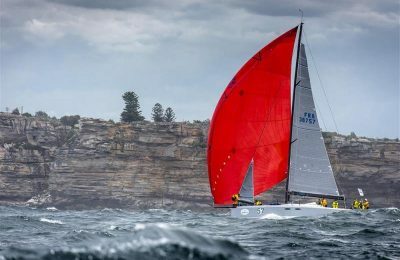 The twist profile is the BIG difference between a good and a bad mainsail. After the design process, the sailmaker’s ability to replicate the theoretical shape and structure has everything to do with the construction techniques available. If you are simply cutting cloth off a roll and sewing it together, you are much more limited. The molded sail process and advanced composite construction makes it possible to place the materials exactly where they’re needed. The structure allows the sailmaker to introduce the properties into the sail that have been developed through the software design process. The latest composite materials offer the ultimate weight-to-stiffness ratio. A stiffer sail will allow you to sheet harder, apply more pressure and deliver more driving force to the hull so your boat goes faster. A stiffer sail doesn’t get deeper with increases in wind pressure, so the boat heels over less. A more upright boat equates to a more comfortable ride, and also delivers greater forward motion (less leeway). One important yet often overlooked element is how quiet a sail is when it’s being used. A low-stretch sail that fits the rig and has been designed to take advantage of the range of controls available can be set up flat and trimmed tightly so that the whole surface of the sail is pressurized and stable. There should not be any parts of the sail fluttering, flapping or panting as the boat moves through wind and waves. A good sail is a quiet sail. Does your next sail tick the boxes? The next time you’re about to place an order for a new sail, if you can be sure it will tick all the boxes listed in these four factors above, you know that you’re well on your way to ordering a good cruising sail. One that will deliver years of reliable and trouble-free service. 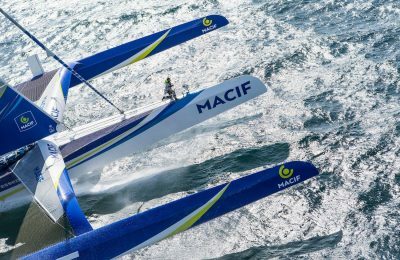 Gabart Claims “Grand Slam” with Transat bakerly Win!